The grisly end of Bradford & Bingley casts a different light on the deregulation of Britain’s financial services industry in 1986. That was the year when the Big Bang ushered in the Americanisation of the City and the first Building Societies Act opened the door to friendly society demutualisations. For many years the success of this deregulation has been taken for granted and was the subject of much backslapping on its 20th anniversary. But the consequences of those reforms, especially the introduction of aggressive financial techniques and the replacement of benign mutual ownership with hard-driven shareholder value are the underlying cause of the implosion of Britain’s mortgage banks over the past year. This event is the visible fault line of a broken financial system. It is of such profound significance that it requires a re-assessment of deregulation, the business model it created and the governance it needs. The Big Bang was not just about the ending of restrictive practices on the stock exchange. It marked the start of a new era of non-intervention by government and gave the green light to market forces. Shareholder value became the sole yardstick by which businesses were judged. Shareholders became more outspoken in their criticism of management and less tolerant of under-performance. During two decades of anything-goes management, chief executives in all sectors explored every conceivable avenue to grow earnings per share including share buy-backs, buy-outs, mergers, leverage and financial engineering. They were egged on by the investment banks. These financial institutions became so profitable and powerful that they were able to buy in the very best talent to dream up and sell innovative new products. It was an unequal contest between fast-talking investment bankers with almost limitless resources and chief executives under pressure from shareholders to match the fastest growth rates in the market. With governments on both sides of the Atlantic and both sides of the political divide standing back from intervention and regulators vying for the Lightest Touch crown, the influence of transaction-oriented investment banks swelled. In the UK the first casualties were the City’s home-grown investment banks that lasted little more than a decade before being squeezed out by powerful competitors from Wall Street. 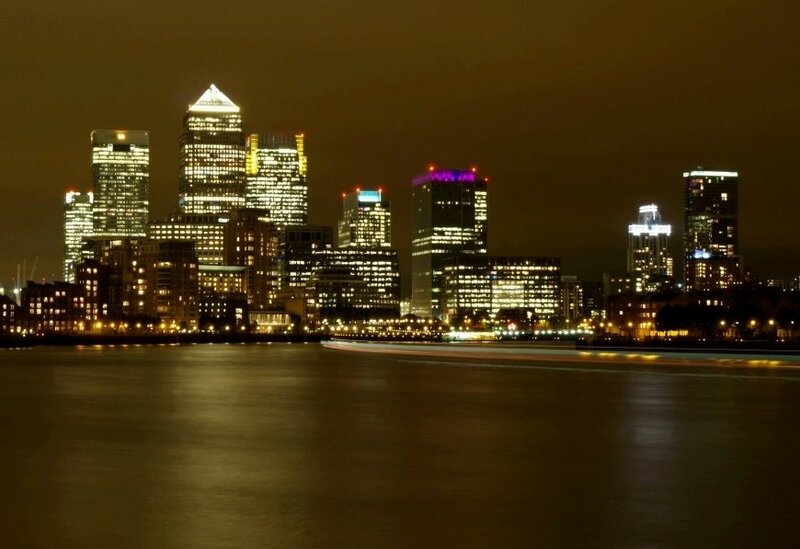 In a macabre twist, it now seems fortunate that Britain’s major banks were not up to their necks in investment banking in 2008: the mind boggles at the wounds they might have inflicted on themselves and the national economy in today’s circumstances. But just as the British investment and clearing banks were getting out of the investment banking space, we now know that trouble was brewing elsewhere in the financial services sector. A second Building Societies Act in 1997 triggered a wave of demutualisations that year, including Alliance & Leicester, Halifax and Northern Rock, and Bradford & Bingley three years later. The timing was unfortunate. The individuals running these banks ran slap bang into financialisation in its pomp. “Originate and distribute” banking was all the rage. The investment bankers claimed to have “transformed risk” through their credit derivatives, off-balance sheet vehicles and securitisations. Governments and regulators were easing off the brakes in respect of capital adequacy, disclosure and intervention. Hedge funds moved shareholder activism from a minority pursuit practised by maverick raiders to a mainstream activity and companies could not afford to slip. Benign economic conditions and low interest rates encouraged leverage and risk-taking. All of this happened while the chief executives of Britain’s mortgage banks were finding their feet as listed businesses. They saw other financial institutions including the investment banks themselves growing earnings through aggressive financing schemes and their shareholders pressed them to do the same. New banking regulations offered maximum flexibility and national regulators seemed unconcerned. Britain’s mortgage banks changed their business model and become heavily reliant on wholesale banking and securitisation. It was a mile away from the original friendly society model that lent out only what the members had deposited. It was high risk and high reward and its demise asks fundamental questions of the deregulated, free-market system that allowed it to happen.